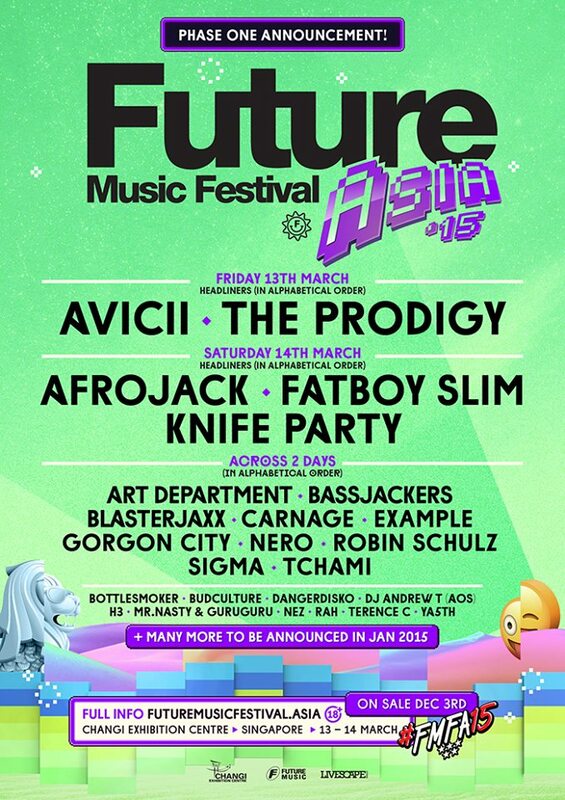 The organisers of Future Music Festival Asia 2015 are saddened to announce that we have had to cancel the festival which was scheduled to be held this Friday and Saturday, March 13 & 14, at the Changi Exhibition Centre in Singapore. Full ticket refunds will now be made to all FMFA ticket buyers, details of which will be made available by Monday evening. We are also aware of the many fans overseas that have made travel arrangements into Singapore for the festival. We are extremely sorry for the inconvenience you have been put through. At the moment, we have set up a care team to help answer your concerns directly. Our care team can be reached at support@futuremusicfestival.asia. 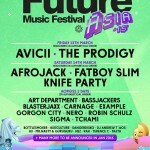 The organisers of Future Music Festival Asia is aware of recent news articles circulating regarding next week’s event. At the moment we have gone up to the highest level to appeal for the festival to proceed. No final decision has been made as yet and we urge you to stay calm and have faith. Regardless, the show must go on. We would also like to go on record to address the Singapore Police Force’s concerns regarding the isolated drug related incidents that happened in Malaysia last year. Isolated incidents which happened outside of Singapore cannot and do not carry any implication that FMFA is in any way linked to drug use nor is it any indication that there will be drug abuse at the event. FMFA firmly stands behind our goal of creating a drug-free event for our festival goers to enjoy, and we are working with the best international organisations in the world with a combined 50 years of experience working on similar events to ensure that this is the case. To the fans, at the moment, we are working relentlessly around the clock to fight for your right to party. We ask that you give us 48 hours to work on the issue at hand. An update will be provided then.